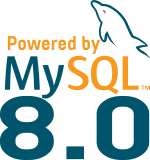 MySQL Shell: eye candy for a future release ! Today I presented MySQL InnoDB Cluster at the Helsinki MySQL User Group. To demonstrate how easy it’s to deploy a cluster with MySQL Shell and used the prompt that will be part of a future release just because it’s beautiful. There were several MongoDB users in the audience and I got only very positive feedback, they were very surprised how easy it’s to deploy a MySQL InnoDB Cluster these days !